This digital age encourages people to be involved into outstandingly lucrative online business. Keeping in mind the success of eBay many businesspersons are looking for such e-commerce platforms as Magento for their online-shop startups. Being designed specially for e-commerce stores Magento is famous among business owners for its ultimate flexibility, and out of the box functionality for multiple products uploads and updates. However, contemporary IT industry offers a number of alternative e-commerce platforms to Magento such as WooCommerce. The alternatives are highly competitive having their own advantages and merits. Experienced e-commerce specialist will always inform customers about the peculiarities of the alternative e-commerce platforms for better choice and easier application. Possessing a deep expertise in the development of different e-commerce platforms Agiliway offers a set of educative articles comparing various e-commerce solutions. Let’s begin with Magento – WooCommerce pair. Both platforms are open source products and free to use. 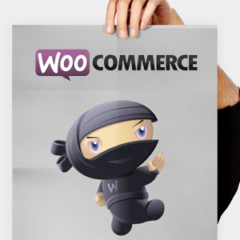 In contrast to Magento, WooCommerce is not a standalone CMS working within WordPress. WordPress’ hosting is easy to use for individuals of varying experience whereas Magento requires a professional developer to deal with its rather complicated CMS. The difficulties with Magento may appear while adding extensions to a web site although the multi-site functionality and the ability to import huge spreadsheets of product are outstanding features of Magento. Allowing multiple attributes and custom options for each product Magento requires hefty hardware nevertheless. Besides, messing around with code and PHP files makes Magento less user-friendly than WooCommerce, which is incredibly easy to use because of the simple designing and management of a site through the page templates. Due to this reason, Magento is popular with larger businesses and agencies managing e-commerce stores on behalf of clients. Representing a simple-to-use lightweight e-commerce plug-in WooCommerce is easy to configure albeit more limited in options, but better for a small e-store attached to a website. Superior in many aspects Magento looks intimidating at first sight even for developers requiring at least a couple of days of studying the architecture and understanding the structure. Once Magento needs cloud or dedicated hosting that cost much, WooCommerce is considered as a money-saving option. There are rumors among some experts that the expensiveness of Magento is a result of work of Russian developers who were forced to create the most expansible commerce software ever in short time. Even if this is a fake idea, Magento clients will need a significant budget to set a successful e-store with grand plans for evolution. 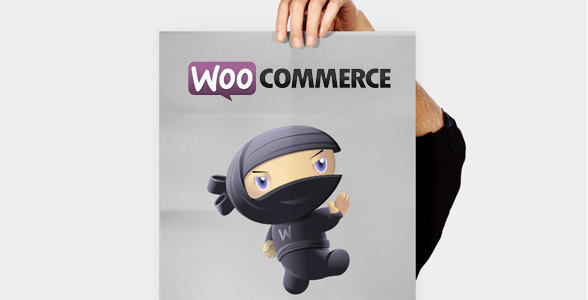 In addition to cost optimizing WooCommerce is better from the design aesthetic viewpoint. Updating to the latest version of WordPress with elegant and compatible across all popular browsers themes such as dynamic and mobile-friendly StyleShop, WooCommerce customers benefit also from a secure and valid code along with easy translation and localization of their stores. Reviewing the features of both e-commerce platforms, it is worth to admit Magento as a standard setting the tone of e-commerce stores. However, the correct application of Magento may require extra costs along with a full time developer in a team. For the majority of average retailers who are looking for easy-to-run and price-oriented e-commerce solutions to sell their products and do not think about anything else having less developing experience, WooCommerce through WordPress should be accepted as one of the perfect e-commerce platforms.